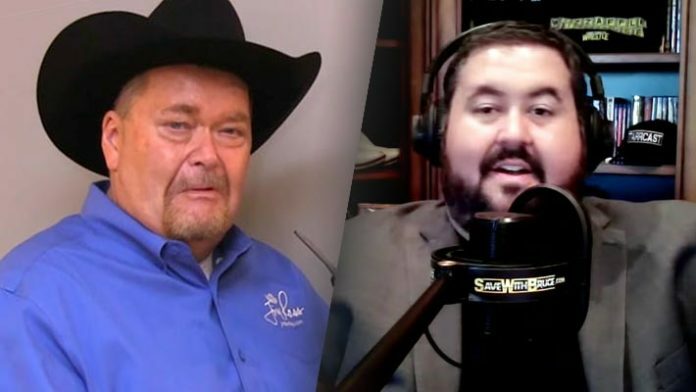 WWE Hall of Famer Jim Ross and Starrcast founder Conrad Thompson are in talks to embark on a new podcast venture. The news comes via Jim Ross himself on the latest episode of the Jim Ross Report podcast. While the project is still in the early stages, Ross sees a strong possibility that the two will end up partnering on a new show. Ross’s current podcast is produced by the Westwood One Podcast Network. JR did not discuss where the new show might end up, but suggests that it would take the place of The Jim Ross Report. This news comes at a time when there is uncertainty regarding the future of Thompson’s popular show, Something To Wrestle With Bruce Prichard. While Thompson also hosts 83 Weeks with Eric Bischoff, and WHW with Tony Schiavone, his rise to the top of the wrestling podcast mountain came with Something To Wrestle. Would a Jim Ross and Conrad Thompson podcast enjoy that same level of popularity?